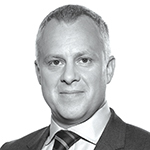 David Rae, Managing Director, Head of Strategic Client Solutions, Russell Investments. With the key 1st April 2018 milestone behind us, many of the LGPS pools are looking ahead to the steady state model that will define normal business operations. That isn’t to say that innovation and transformation will cease within the LGPS pools. Indeed, quite the opposite as many aspects of the establishment phase progress and wind down. This will facilitate a greater focus and attention on some of the harder-to-solve challenges facing the LGPS pools. Structures being put into place today will help to consolidate efficiencies and enhance the value for money through improving returns and driving cost reductions. We envisage a further period, where techniques are applied to further increment those marginal gains. Alongside this, we anticipate that the pools will be able to devote greater effort to improving the overall portfolio structure with increased portfolio allocations to illiquid and alternative asset classes. These allocations may yield risk management and return benefits, and in many cases provide further opportunities to improve the alignment of portfolio with social and other responsible investing objectives. The establishment phase has required considerable collaborative effort to develop appropriate governance structure, achieve regulatory approval, develop operational infrastructure, and recruit or transfer high quality individuals into new organisational structures. It is unprecedented for multi-billion-pound investment pools to be established in this fashion and the success to date is testament to a collection of well thought out and well executed plans. 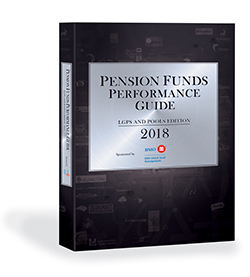 With assets transferring into the various pools from across the pension funds, many of the pools are now operationally live and identifying firsthand the opportunities to further refine structures and processes to enhance returns and gains from pooling. Applying the marginal gains doctrine from cycling to other areas is a common approach and works particularly well here. Over multiple decades, at Russell Investments, we have identified a number of areas for improvement. Individually, each improvement may only translate into a marginal performance gain or risk reduction, but in aggregate the combined effect has been to seek to significantly enhance returns, reduce costs, and better control risk. For many pools, there will be significant change requiring a carefully coordinated and managed transition process. This will be a critical event for the pools and the funds. However, over time, there will be the need to further change the line-up of managers within the fund. This may be a wholesale termination of a manager assignment and appointment of a new manager, or the reweighting of managers. Any manager change presents potential costs and risks which can erode the performance of the fund. Retaining a transition manager on an ongoing basis to manage change and ensure efficient project management and cost controlled trading may yield further marginal gains on an ongoing basis. As the LGPS funds interact with the pools, there is the potential for trading or similar friction to arise. Where a pool has established an ACS structure with sub-funds, the underlying investors will trade units of the fund periodically as they reallocate between different asset classes. This results in cashflows into or out of the sub-fund. Ordinarily, this cash would be transferred to the outsourced managers or raised from the mangers as required. Frequently, transferring from the managers introduces potential transaction costs as managers purchase or sell securities. Maintaining a liquidity reserve in cash introduces a different potential drag on portfolio returns. Establishing a liquidity reserve and then employing derivatives or ETFs may help control the transaction costs and risk. A critical focus and area for improvement in our portfolios has been reducing overall transaction costs. Portfolio structures with multiple outsourced managers can result in higher aggregate turnover and a longer tail of portfolio positions because each manager is building the portfolio and trading in isolation. We have developed efficient ways to seek to reduce the impact of this, and preserve even more of the intended manager alpha. The portfolio emulation described above can be taken further, allowing the pool to take even greater control of the portfolio. For example, the portfolio could be tilted towards particular securities with certain positive attributes, or the portfolio could be optimised to reduce the carbon footprint or apply some other responsible investment preference. The above approaches are designed to ensure that the immediate structures being set up are as efficient and well-oiled as possible. Identifying and implementing solutions to extract the greatest gains from pooling should begin immediately. However, perhaps the greatest opportunity lies with the ability to focus on the bigger items that may fundamentally alter the risk/return profile of the fund assets and deliver better outcomes. Many of the LGPS funds are expressing concern about the current valuations of equities and a number of asset classes. This is particularly pertinent given the timing of the triennial valuation. Derivative overlays can be used to provide downside protection either through options or option replication strategies. If there are common parameters (for example time horizons, asset levels), these can be managed at the pool level, potentially within an ACS sub-fund, if that is the structure in place. Much has been said about the opportunity that pooling presents to enable funds to invest into alternative less liquid asset classes, in particular infrastructure. Attention is rapidly turning to making this a reality under pooling. No one is underestimating the work that will need to be done to make this a reality; however, the foundations have most definitely been put in place over recent months in the establishment of the pools. Much has been said about the different approaches being adopted by the pools; however, across the board, significant progress has been made towards establishing fully operative pools. As time passes, the focus is shifting towards meeting the long-term objectives. On the one hand, the operating experience the pools gain will be used to drive further efficiencies. We see opportunities to reduce costs, enhance returns and manage risks across liquid asset classes by focusing on innovative techniques around portfolio construction, transition management, and trading. On the other hand, the platform that has been established will enable pools and funds to identify new investment opportunities, particularly across alternative asset classes that can achieve multiple financial and non-financial objectives. Unless otherwise specified, Russell Investments is the source of all data. All information contained in this material is current at the time of issue and, to the best of our knowledge, accurate. Any opinion expressed is that of Russell Investments, is not a statement of fact, is subject to change and does not constitute investment advice. © 1995-2018 Russell Investments Group, LLC. All rights reserved.